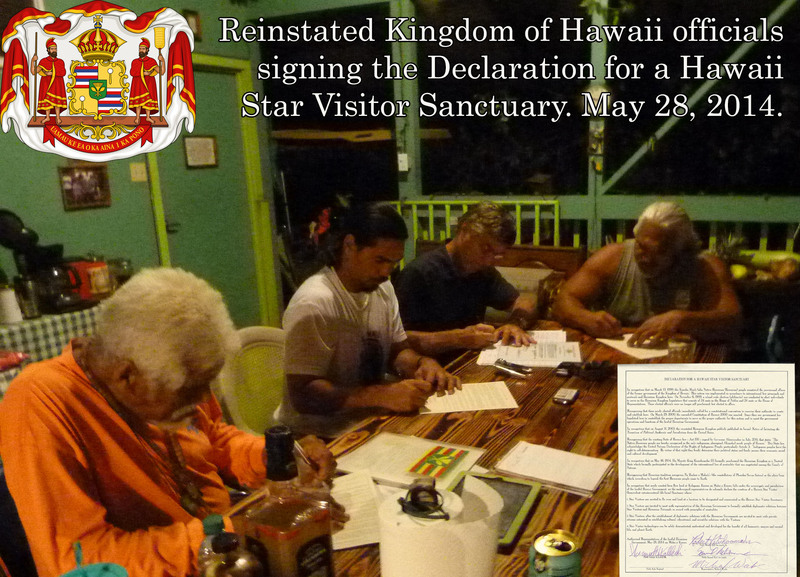 Five duly appointed representatives of the reinstated Hawaiian government have signed the “Declaration for Creating Hawaii Star Visitor Sanctuary” thereby giving it full legitimacy and protection under the laws of the Reinstated Kingdom of Hawaii. In an exclusive interview, one of the signatories, (Uncle) Robert Keli’iho’imola, Sr., a noble within the reinstated Kingdom of Hawaii, explains where the Sanctuary will be located. He also describes how the reinstated Kingdom of Hawaii plans to help the general public prepare for extraterrestrial contact, and what he hopes will be achieved by the Sanctuary. To learn more about the Reinstated Kingdom of Hawaii, visit: http://hawaii-gov.net/ The Exopolitics Institute is a sponsor for the creation of a Hawaii Star Visitor Sanctuary that will facility extraterrestrial contact in the Kalapana region of the Big Island of Hawaii. Currently, the Institute is hosting a temporary webpage featuring information and upcoming events associated with the Sanctuary. The Institute will be supporting various future events to be held at the Sanctuary that promote extraterrestrial contact. This entry was posted in Sanctuary News. Bookmark the permalink.